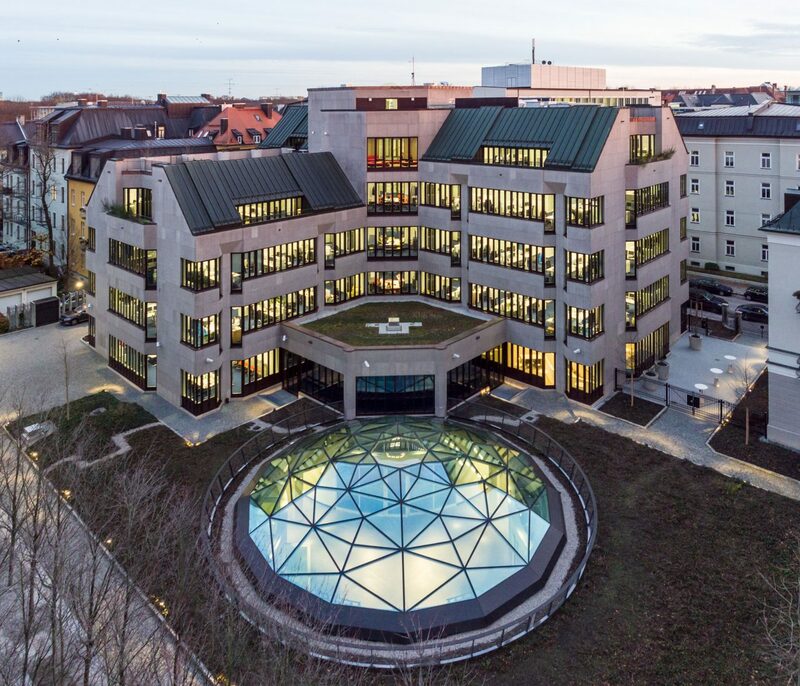 The glass dome on the administrative building of Munich Re in Munich was designed to admit light into an underground corridor connecting two buildings. 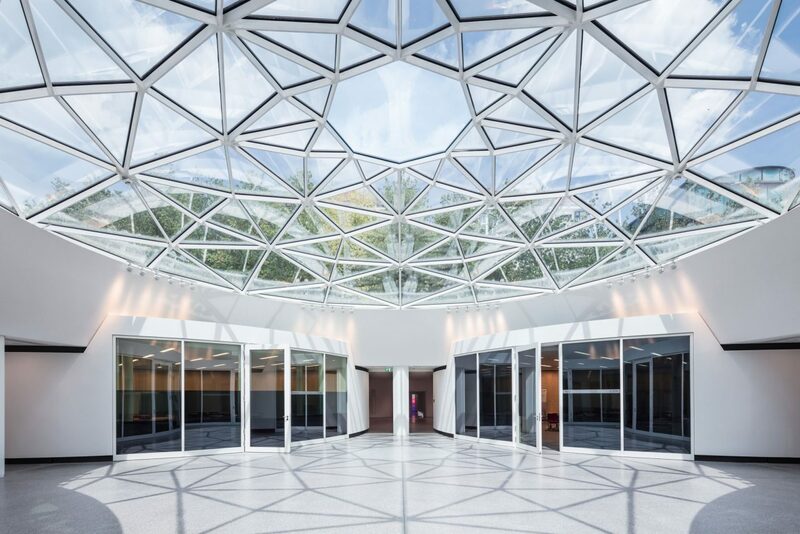 The supporting structure consists of trapezoid steel profiles with triangular fill elements made of glass. 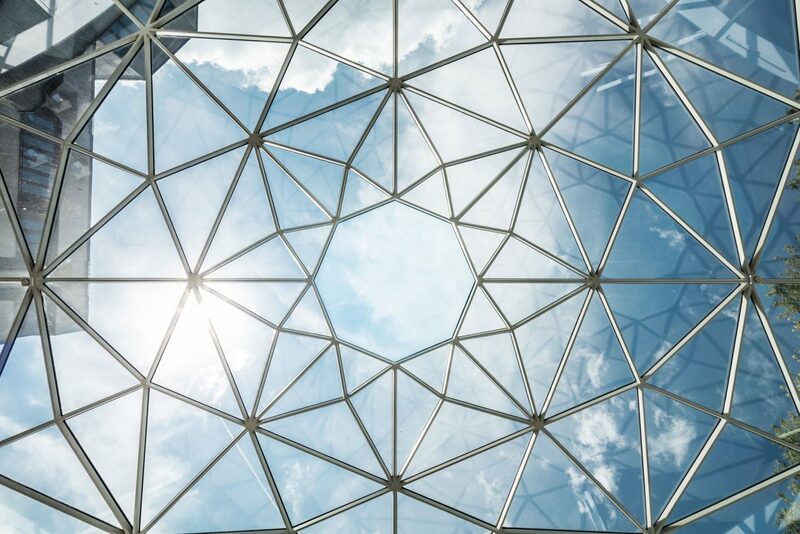 The glass panel at the highest point of the dome is spherically curved. The glazing generally consists of triple insulating glass which is fastened to the steel structure invisibly from the outside. Silicone is used to seal the joints around the glass. This allowed a perfectly smooth exterior to be produced on the dome.